Race Through The Biggest Cities With Hot Rod Racer! Rocking Race with Age of Speed 2! 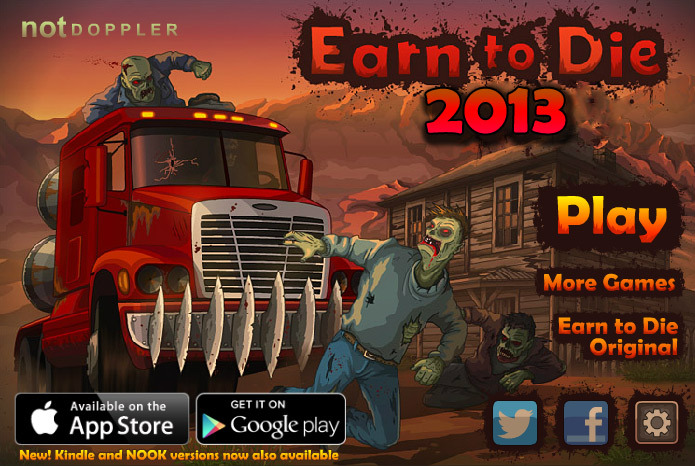 Earn to die 2013 or 2012 part 2 is a continuation of the main character’s journey. In this part of the series it was revealed that the main character is headed to a military base where survivolike him must be safe. Finishing each level with three strong cars is the goal of this game to help the main character reach his safe haven. Your task is to drive the vehicles as far as you can to earn money and fully upgrade your cars. 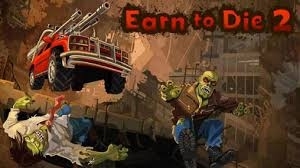 Contros for this game is the same as the controls of the previous earn to die games. Up Arrow Key – press to move forward and accelerate. Pressing this key while your car is airborne will not affect your car’s speed but will still consume fuel. Down Arrow Key – press to move backwards or decelerate. This function is used when you fail to climb a ramp to gain momentum and try to climb again. Left/Right Arrow Key – press to tilt your vehicle clockwise or counterclockwise. Tilting is necessary when your car is in mid-air to avoid turning your car upside-down. Ctrl or X – press to activate booster. Boost function will be available when you upgraded your car for this function. Your mouse will be used for buying and upgrading cars in the garage, and choosing options in the main menu.